It’s all go at Motorcycle Live and as usual there's a right mix of stunning motorcycles and scooters on display, so much in fact you honestly don’t know where to start looking! Below I've listed a few of our highlights from the show! To see some of our best photos check out our Motorcycle Live Gallery on Facebook. It is probably not the biggest surprise to see the Ducati Panigale V4 Speciale at the top of this list, arguably the biggest head turner at the EICMA Show. The Panigale V4 Speciale will be powered by a four-cylinder 1103cc engine, the same of which is used in their Desmosedici MotoGP bikes. The highest spec Panigale V4 Speciale apparently will make 226hp. First revealed at the Milan (EICMA) Show 2016 the Vespa Elettrica was Vespa’s first go at producing an electric scooter and gathered quite a lot of interest. The Elettrica which is based on the Primavera, is due to go on sale in 2018 and is believed to perform similar to that of a 50cc machine. While not having units to sell recently due to increasing production through an additional factory in Thailand, British owned Scomadi have still been in the news with their developments. In March of this year at the 28th Bangkok International Exhibition Centre, Scomadi unveiled the Turismo Technica 200. The TT will have many new features and upgrades when compared to the TL, most of which will be favoured by classic scooter enthusiasts including steel bodywork, plushride suspension system, slim style side panels and LED lighting. Due to reach UK shores in 2018 and on display here at Motorcycle Live, we can't wait see the TT on the road, and no doubt we will see many at the National Scooter Rallies too. It is also worth briefly mentioning though it might be a year or two away the Scomadi TL 400 is another very exciting model in development by Scomadi. Three-wheeled scooters have been around for a while now in its current form thanks to Piaggio bringing out the MP3 over 7 years ago. Since the emergence of the MP3, others have produced similar three-wheel scooters including the Yamaha Tricity, Peugeot Metropolis and Quadro3. Now though, Yamaha have been completely different and created a three-wheeled motorcycle named the ‘Niken’. The radical Niken will be powered by a 3-cylinder 847cc, liquid cooled engine and will be able to lean as far as 45 degrees. We have a 360 video tour of the Yamaha Niken on YouTube so if you are interested or intrigued make sure to give that a watch. It’s fair to say since the rejuvenation of the Triumph brand under the ownership of John Bloor, Triumph have grown and grown. A true indication of just how far Triumph have progressed, is the new 3 year deal they have completed with Dorna to supply dedicated race tuned 765cc engines for Moto2 from 2019. The Triumph stand had the engine and racing motorbike on display for all to see, and they also started up the race bike for all to hear, even offering standers by ear plugs due to the noise levels. 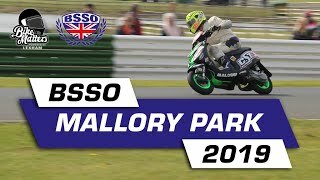 We managed to get to the front of ones of these demonstrations so make sure to check that out on YouTube, Triumph Moto2 765cc engine demonstration. 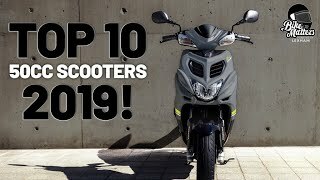 While there are now many 3 wheelers on the market Quadro (who also have their own three-wheeler) have gone big with the Quadro4 - you've got it a four-wheeled scooter. The Quadro4 is equipped with a 350cc engine and for an added safety boost also has AWBS (All Wheel Braking System), which is a combined braking system on all 4 wheels with 4 disc brakes. The Quadro4 has double HTS (Hydraulic Tilting System) and hydraulic single-wheel suspension, the first ever four-wheel scooter. In recent years Royal Enfield have stayed true with what has made it successful with the 500cc Classic range, that’s up until the Himalayan came along offering a 411cc single cylinder adventure bike. Things developed further at the EICMA Show 2017 when Royal Enfield took one massive leap forward again with the unveiling of the ‘Twins’ the Continental GT 650 and the Interceptor 650, two bikes you can see doing really well in the European market. Do I need to say much else? As soon as you look over to the Yamaha stand and see the yellow numbers of #46 gleaming from a blue Yamaha YZR-M1, you are instantly drawn in like a moth to a flame. A bike ridden by the doctor himself, Valentino Rossi. Ok, you’ll either love it or hate it, but for me this is a thing of beauty. The Z900RS Café due for release in 2018 is a modern classic, inspired by the Kawasaki Z1, a legend from the 1970s. The Z900RS Café will be powered by a 948cc liquid cooled, 4 stroke engine and again was only unveiled at this year’s EICMA Show. The Peugeot Django has been about since 2014. Although nothing has majorly really changed since its release, I do have to admire just how different and stylish this scooter is and in a show crammed full of new motorcycles and scooters, the Django still stands out for the right reasons. The Vespa GTS has been a long-standing model of the Piaggio Group, and is a favourite of many commuters, enthusiasts, and rally goers alike. It’s modern, but still has that classic Vespa styling, so what’s not to like? The Vespa look blends with the finesse that is typical of the world of sailing. Vespa GTS Yacht Club skilfully pair an elegant white outfit with numerous blue details. The Yacht Club styling can be found on the Primavera as well as the GTS. 2018 marks fifty years since Norton first released the Commando and to mark such a milestone Norton have created three anniversary bikes. 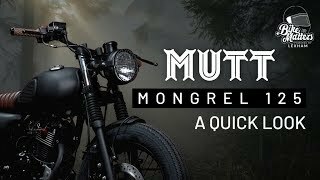 The Norton Commando Cafe Racer, Sport and the California will be numbered editions and they will only make 50 units of each bike, so if you want one you best be quick about it. Funnily enough when it came to choosing a photo of one of the Commandos to use below we leaned towards the bright yellow of the California! The new Fantic Caballero range was unveiled in May at Bike Shed London, and Motorcycle Live gives you another opportunity of checking out these new retro styled bikes. There will be two models available, the Flat Track (left on picture) and the Scrambler. (right on picture). If the Caballero name sounds familiar then you would be right, the Fantic Caballero originally dates back to the 70s, and it's nice to see Fantic keeping true to that design and heritage with their modern-day Caballero models. A stand tucked away behind trade stands and besides the ‘experience adventure’ area. It’s definitely a stand I heard before I saw, as the guys from the National Motorcycle Museum Friends fired up one of their former racing beasts. When you get there, there is an impressive collection of classic bikes on display, for all to appreciate, enjoy! Make sure to check out our own stand, we have 4 completely different bikes we think you will like! Where to start… If classic scooters are your thing then we have an old Lambretta Li 150 on display. Remember the iconic film Quadrophenia? Well make sure to check out our Vespa GTS with a unique one-off paint job dedicated to Quadrophenia and the bands that influenced the Mod movement. Onto Motorcycles and we have two Yamaha beauties for you to see, firstly the classic 2-stroke RD350 which will bring back many memories to seasoned bikes. Secondly, we are very fortunate to have ‘The Soil Scorpion’ a Yard Built Yamaha XSR700 by Rough Crafts also on display. While admiring these two wheeled beauties you can also enter our competition to Win a Yamaha MT-07! If you are not attending motorcycle live you can also enter our competition online.